MTN Nigeria offers cheap data services to it's various categories of users. There are the light browsers who just goes online to do some little checking; most of the time just fiddling with social media. These set of users need light data at a transparent cost. There are also the heavy data users who deal with downloads and other heavy data usages. They need a fair amount of data for these purposes. All of these set of customers are really important to the telcos. 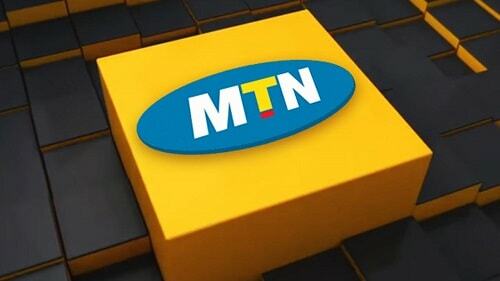 Nigeria's largest telecom company, MTN Nigeria had always tried to breach this gap by providing fair data at a fair price to all levels of customers. Trying to keep pace with Glo's extra cheap data bundles, MTN did effect some improvements on it's own bundles; they are alway in competition to stay top, keeping Glo at bay. MTN is a South Africa-based multinational mobile telecommunications company which first entered the Nigerian market in 2001. Its head office is in Johannesburg. The firm has recently been at loggerheads with the Nigerian government and the CBN. It was fined for improper registration of users and recently queried over the way they scooped their profits back to South Africa. There are moments inwhich you are left with little in airtime and just want to get some minor things done online, that's when daily bundles come of help. MTN daily plans looks eye catching with two bundles in it. There's the daily 50MB plan which costs just N100 valid for 24 hrs. Send “104” to 131 to subscribe to this. There's also the daily 150MB bundle which costs N200 and valid for 24 hrs. To subscribe to this MTN daily plan, send “113” to 131. The weekly bundles seems trickier and can never be recommended for heavy browsers. It just houses two bundles. The weekly 150MB Plan which costs N300 and valid for 7days. Subscribe to it by sending “102” to 131. There is the 500MB weekly Plan aswell. This plan costs about N500 and is valid for 7days. You can subscribe to this MTN weekly plan by sending “103” to 131. This is where you really get the value for money. For light users, just opt for the one of N1000 for 1GB or the one of N1,200 for 1.5GB. Movie regulars can power their devices with the MTN N3,500 for 5GB for unrestricted download of movies. Firms can get more value than this, with N10,000, they can purchase data worth 22GB. A 2 -month(i.e 60days) data plan also exists for firms planning to use more and more data. There's an 85GB data bundle for a whooping N50,000. That's money! But it's worth it! MTN Nigeria as you've seen has accolades of cheap, fair data plans; then coupled with their efficient network gives you a combo!